Fargo-Moorhead Visitors Center in Fargo North Dakota. 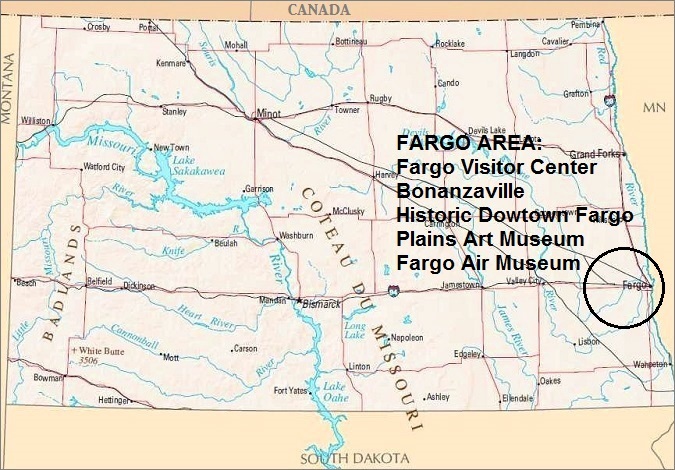 The Fargo Area is home to several "must see" attractions during your North Dakota vacation, including the historic Downtown Fargo where the historic Fargo Theater is found, the Fargo-Moorhead Visitor Center where the infamous woodchipper from the movie "Fargo" is located, the Fargo Air Museum, the Plains Art Museum and the amazing museum complex Bonanzaville lead the list. 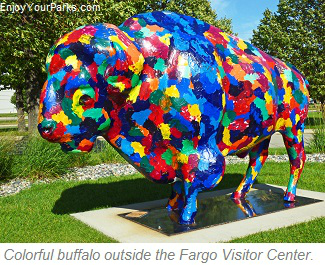 Fargo North Dakota is the largest city in North Dakota and is where North Dakota State University is located. In addition to NDSU, there are many other universities and colleges located in the immediate area, as Fargo's sister city of Moorhead Minnesota as well as West Fargo, North Dakota and Dilworth Minnesota, form a central core known as the Fargo-Moorhead Area, all of which have a fair number of colleges and universities. 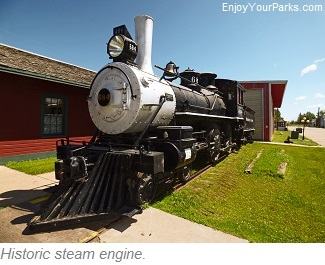 represents our favorite things to do in the Fargo Area, and we highly recommend checking them out during you time in this remarkable, vibrant area. 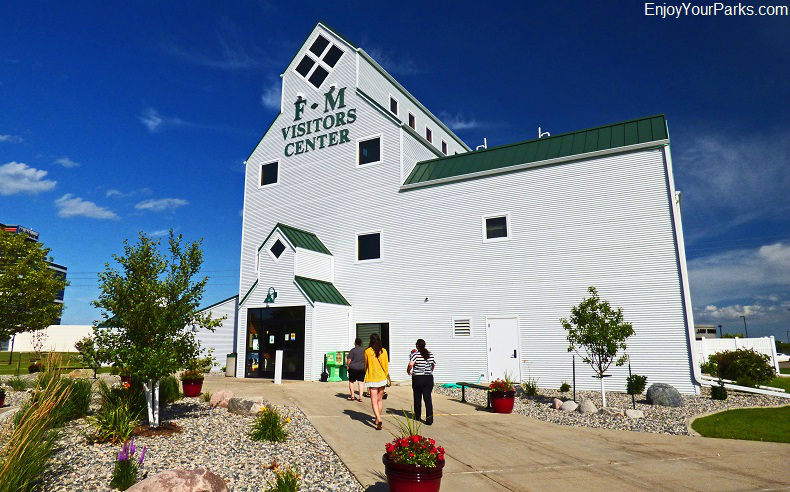 The Fargo-Moorhead Visitor Center is actually one of our favorite "attractions" in the Fargo area and is a fun "event" to experience. 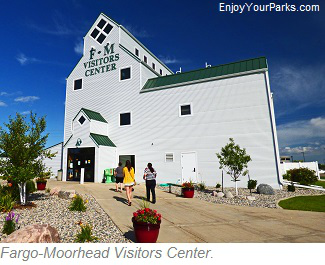 The Fargo-Moorhead Visitor Center is a gorgeous facility with an incredible staff that is extremely knowledgeable and helpful. 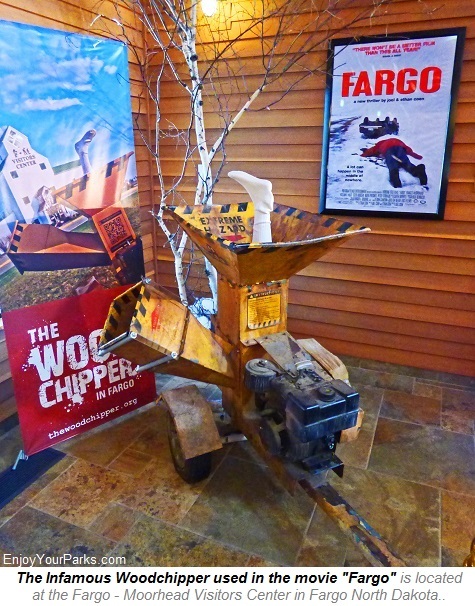 The exhibits are wonderful... which includes the infamous "Woodchipper" from the popular movie "Fargo". No North Dakota vacation would (wood) be complete without getting your picture taken with this world-renowned woodchipper. 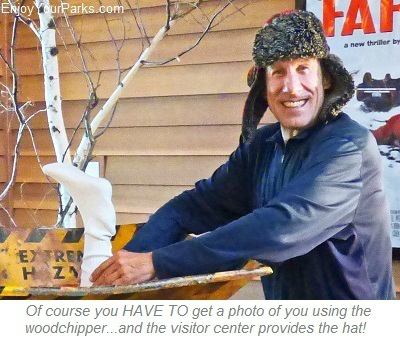 The Fargo Visitor Center staff even provides the hat! If you don't know what we're talking about, rent the movie "Fargo", and you'll then clearly understand the significance of this fine piece of machinery. 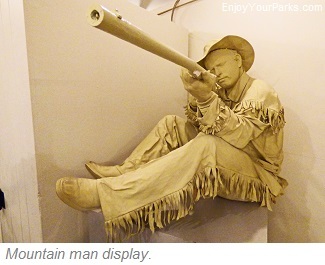 That's another thing we love about North Dakota and its residents: They have a great sense of humor! fantastic 47 building museum complex on 12 acres that is home to a gigantic array of phenomenal historical items, exhibits and buildings from the region. Many of the buildings are original and were moved here for the sake of preservation, and have created a fantastic village setting. These historic buildings include a general store, fire station, drug store, prairie church, old prairie school house and a jail...just to name a few...not to mention the several pioneer homes on the premises. 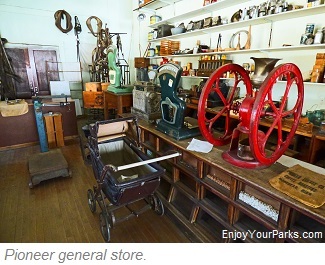 There is also an aircraft museum, automobile museum, horse-drawn vehicle exhibit, historical firefighting vehicle exhibit, historical medical and dental exhibit, law enforcement museum, an antique newpaper printing press and a telephone museum. And all this doesn't include the several hundred thousand artifacts on display! 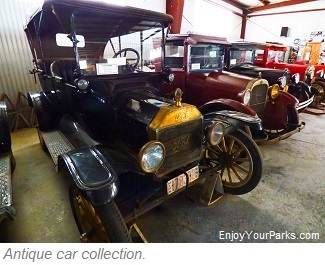 Located only about 2 and a half miles west of Fargo North Dakota just off Interstate 94 at Exit 343, Bonanzaville USA is a jawdropping museum complex that you and your family will thoroughly enjoy discovering and exploring, and will certainly be one of the highlights of your North Dakota vacation. 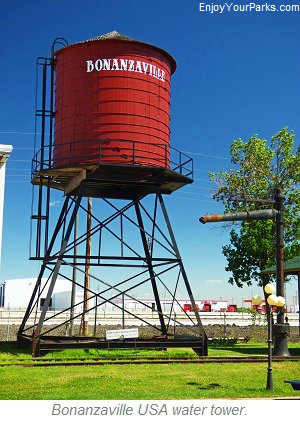 One of the highlights of Bonanzaville USA's year is their annual "Pioneer Days". 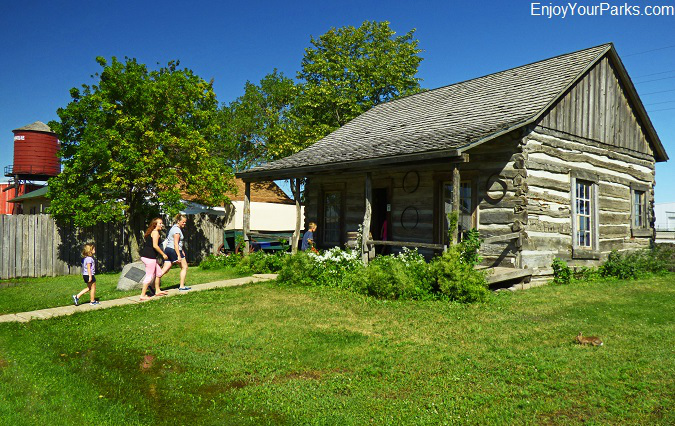 Held during the third weekend of August, "Pioneer Days" is the largest and longest-running annual event in the Fargo-Moorhead Area, and if you're in the area during this celebration, you should definitely check it out! 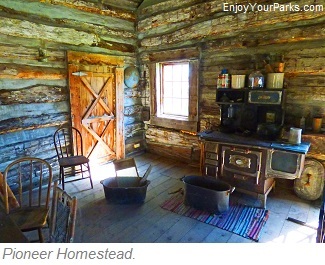 Visitors about to enter an authentic pioneer homestead at Bonanzaville USA in Fargo North Dakota. that line the downtown streets, there are wonderful dining shopping and entertainment opportunities. 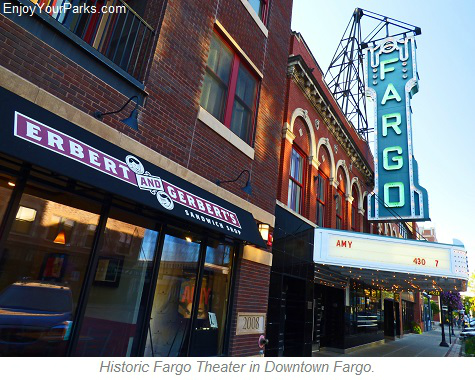 One of our favorite building in historic Downtown Fargo is the Historic Fargo Theater. Built in 1926 in the classic "art deco" style of the time, the Fargo Theater was restored to its original appearance in 1999, and is now Fargo and Moorhead's center for the arts. The Fargo Theater is listed on the National Register of Historic Places, and has served as the main theater for the popular Fargo Film Festival since 2001, where submissions are accepted from independent filmmakers from most of the states throughout the country, as well as over 13 countries from around the world. Of course there are many other wonderful historic buildings, as well as fun placies to shop and dine in historic Downtown Fargo North Dakota. national and regional contemporary art. James Rosenquist, Salvador Dali, Helen Frankenthaler, Sol Lewitt, Elisworth Kellya and Andy Worhol are among the renowned artists whose work is featured within the walls of the world-class Plains Art Museum. 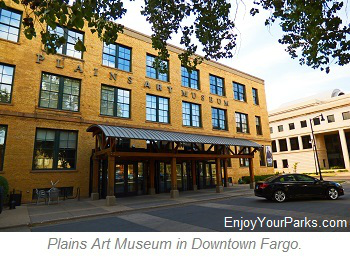 The Plains Art Museum was originally located in Downtown Moorhead, and relocated to Downtown Fargo in 1997 into a wonderfully renovated turn of the century International Harvester warehouse. The American Alliance of Museums then granted accreditation to the Plains Art Museum in 2003, which made it only one of two museums that have receive this honorable distinction in the entire state of North Dakota. 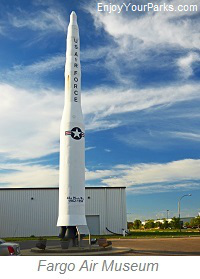 The Fargo Air Museum is a terrific museum to visit if you like really cool planes and jets! 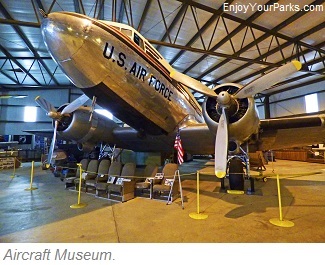 This world-class museum features many new and historic planes that are still flying such as the PT 19 Fairchild, F4U Corsair, L 2 and L-19 Bird Dog, L-39 Jet, P- 51 Mustang, and TBM Avenger and more.. Planes and jets are also known to fly in as "guests" of the museum, which is always a treat for visitors who happen to be there when one of these aircrafts show up. The Fargo Air Museum is also home to a large number of fascinating historical non-flying aircraft and engine exhibits such as an Iskra Jet, Pitts Special, EAA 317 Wright flyer replica, ME 109, Huey helicopter and DC-3. There are several amazing aviation and military exhibits that range from the Charles Lindbergh, the Golden Era, North Dakota Wall of Aces, air racing, Tuskegee Airman, Carl Ben Eielson and more.